Quick question: Would you rather focus your marketing efforts on a) reaching students and families that are a good fit for your school, or b) casting a wide net and trying to sort the good leads from the bad? If you chose “A,” it’s time to consider inbound marketing. Inbound marketing helps the right students find you online and transforms them from unknown website visitors to enthusiastic applicants. Inbound marketing can take many forms – social media campaigns, paid advertisements, search engine optimization – but the heart of all of these methods is your website. Your school’s website is the centerpiece that these techniques lead back to, and it should be developed in a way that makes families want to stick around and learn more. According to HubSpot, schools who use inbound marketing are seven times more likely to report higher ROI than those using outbound marketing. Also, inbound leads and applicants are three times more qualified than leads acquired through outbound methods. If attracting more families and students through online efforts is your goal, these three ways to attract families are a great place to start. 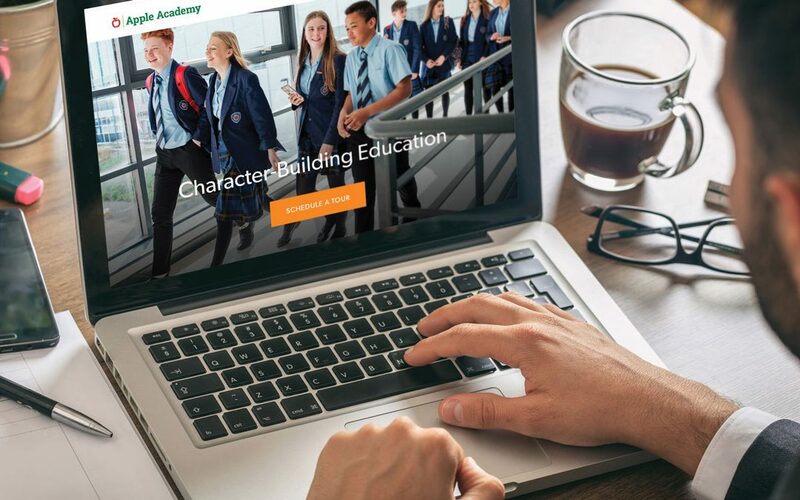 Usability might be the most important factor in creating a school website, and it affects everything – design, content, navigation, loading time, etc. And if your website isn’t up to your visitors’ standards, you won’t have much of an opportunity to convince them. According to a study by Taylor and Francis, users judge the visual appeal of a website in as little as 50 milliseconds. In comparison, the average blink of an eye takes 300 to 400 milliseconds, which means that visitors’ first impressions of your website are set before that first blink. The best way to make your school’s website engaging is to think about who is coming to your website and why, and make it easy for them to find out who you are. Tell your school’s story through images, videos, interactive elements and well-crafted content. Visitors should be as excited about your school after visiting your website as they would be after a visit to your campus. Finally, user experience doesn’t just affect the desktop version of your website – the mobile version has to be equally impressive. Mobile internet usage has been increasing as a share of total online activity for years, and families today are just as likely to visit your website from their smartphones as they are from a homebound computer. If you’re updating your school’s website, your designer should make sure that the mobile user experience is just as impressive as the full-sized version. A well-made user experience will keep your visitors’ attention when they reach your site. The next hurdle is getting them to do something once they have arrived. Your website’s goal is to get information from prospective families – to “convert” them from anonymous visitors into leads for future enrollment. Increasing your conversions starts with engagement and includes establishing the trustworthiness of your school’s website. Many schools use trust indicators to show that they’re a reliable (and real) option for families. These indicators can include testimonials from families and certifications from third parties like Yelp, Capterra and Google Review. 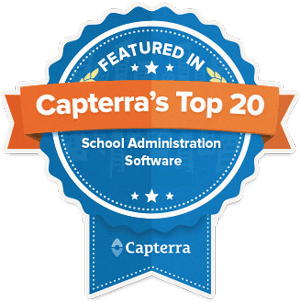 Connections to the real world beyond your own website reinforce your school’s good reputation and establish trust. Contact a Gradelink representative today about upgrading your enrollment strategy. These appeals should be layered throughout your school’s website and tailored to the specific pages they are on. For example, your tuition page should have calls to action related to tuition, athletics pages should have calls to action based on athletics, and so on. Remember, this initial conversion is only the first step in a longer enrollment process. Don’t ask for too much information up front – name, email address, and entrance grade is enough to start a more personalized process for prospective leads. We’ve covered how your website should look and what it should do – now let’s take a moment to consider what your website should say. Crafting inspiring website content means putting yourself in the mindset of your visitors. We touched on this briefly in point #1, but content is the place where you can have the most impact in this regard. The content marketing gurus at Copyblogger have an extensive checklist for creating effective online content for any industry, including schools. Their first point is “don’t sell, teach.” In other words, provide answers to the questions and solutions for the problems that visitors bring to your site. Click here for more on marketing your school online. Your website should be a place that makes your readers feel good – both about your school and about themselves. Combining an uplifting message with compelling information will inspire your visitors and greatly increase your chances of converting leads. Effectively combining these three elements on your school’s website – an engaging user experience, conversion-focused design, and inspiring content – will make your school’s marketing more effective and your website more attractive to prospective families. Contact us to start upgrading your school’s website today.